“Wuhu! Arki_lab goes to Australia again! Rasmus is invited to give a talk at the 8th international Urban Design Conference. First established in 2007 in Melbourne, the international Urban design conference that has been held yearly ever since brings together urban planners, architects and scholars of the field in one of the major Australian cities. 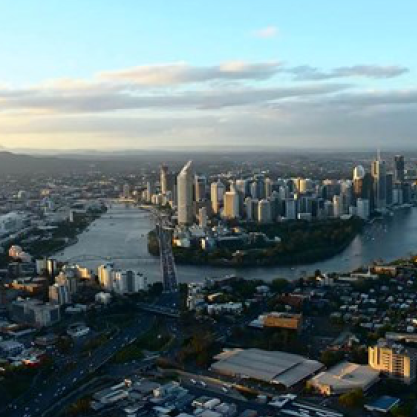 This year, Brisbane, the capital of the Australian “Sunshine State” Queensland, hosts the conference from the 16th to the 18th of November. The 8th International Urban Conference is designed to showcase a diverse spectrum of innovations, practices and ideas that tackle the issues linked to the rapidly changing urban life. Arki_lab, our small beloved democratic urban planning office, has been selected as an example of a practice that embrace these new transformations in the urban life, continuously pushing towards more inclusive approaches to urban design.This talk is especially important to us, as Australia always takes pride in having some of the most livable cities of the world, and that is exactly why we are justly proud of being selected as an innovative practice by the Australian conference committee. Arki_lab has already been part of a few projects in Australia, and Rasmus, on of our two co-founders, has studied, taught and worked in there, so we hope to have built up a good reputation and to see many of our friends there. Here in arki_lab we dream big and this is a small part of that dream coming true. We think beyond the borders of Copenhagen, even though we love it very much. We think beyond the borders of Scandinavia, even though our ideals are very deep-rooted in the Scandinavian design traditions.Our hometown of Copenhagen have over and over again has been voted as one of the best cities to live in, so we hope we’ll be able to act as good representatives of Copenhagen’s progressive approach to urban design and we are of course very glad that we have been given the chance to share our stories from Scandinavia with our colleagues from all over the world. Our aim is to see our tools and ways, which have already paid well in the Scandinavian and the European context, being used more in the Australian context. Over the years, we have developed many tools to facilitate citizen involvement processes and to engage the average citizen to the utmost degree in designing their cities. So far, we have used those tools in many projects and many cities across the globe. Our tools are built to be adaptable to different contexts and we hope they can be used in many places all over the world. This is what Rasmus will share during his talk. Every human being deserves to live in a good city. We believe we know something about how to make that happen, and we are sending Rasmus to Australia to spread our word and to share our knowledge and experience of urban design and citizen involvement with the architects and planners from across the globe. So lets join forces to make our cities a better place to live for all of us. We would be happy to see you at the conference. Don’t worry if you cannot go. You can always stream the talk online. Read more about the conference here: http://urbandesignaustralia.com.au and stay tuned. We promise to keep you updated, as we have always done.